Sword Art Online: Hollow Fragment Review - This Is My Joystick! Sword Art Online: Hollow Fragment is a JRPG based on the Sword Art light novels and anime, and is a follow up to Sword Art Online: Infinity Moment. Originally released in Japan in April, the game has been subtitled and given minor updates before release in the west. Being subtitled rather than dubbed, Sword Art Online: Hollow Fragment puts your concentration levels on high whilst playing. The plot is so complex and often convoluted, that if you miss any dialogue, you will struggle to catch up. The subtitles are poor, and the translation into English is rife with grammatical and spelling errors. This cheapens the overall feeling. The joy of gaming on a handheld device is the ability to pick up and play for short periods of time, allowing you to get a few minutes of gaming in scenarios that allow it – on public transport, the doctor’s waiting room. Hollow Fragment is so involved, and has so much to do, that in order to progress or feel like you have made an impact you need to spend a significant amount of time with it. For this reason, it often feels like it is too big for the Vita, and would have been better suited to a non-mobile console where prolonged periods of gaming are more typical. When you couple this with paying constant attention to the subtitles, you’ll find you’re concentrating hard for a long period of time and playing can seem more like hard work than fun. Hollow Fragment is a sequel, and for those who are new to the ­series, it can feel like it is quite restrictive at times. It makes little effort to bring newcomers up to speed with the storyline, other than some unclear cut-scenes and, unfortunately, these come after the opening sequence, which feels confusing to play. 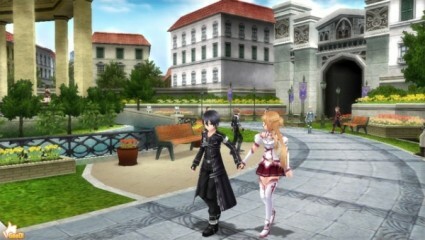 You start Hollow Fragment with your character at level 100 and on floor 76 of the current area, which signifies that there must have been some gameplay before it – in essence there has, but the gameplay refers to Infinity Moment. These high levels mean that early in you can easily beat enemies, but as it takes a while to level up, enemies soon have the upper hand and battles feel harder, faster. Sword Art Online is about people who have been transported into a virtual reality MMORPG, where everything that happens to their avatar also happens to them in real life; death in the game means death out of the game. This is an effective story arc as it allows the tutorials to explain mechanics to you in terms of “the game”, meaning it fits in line with the story but also with your own actions, as a player of the game. The meta feeling of the tutorials is perhaps its only plus. With game mechanics that feel counter-intuitive, the battle mechanics are not explained well, and you have one battle to take them on-board before muddling through afterwards. Battling isn’t as easy as pressing one button to launch an attack and another to block or counter; each button is linked to a different type of attack, which all have a refill timer. The battle interface feels crowded, and is not laid out well, feeling overcomplicated and convoluted. 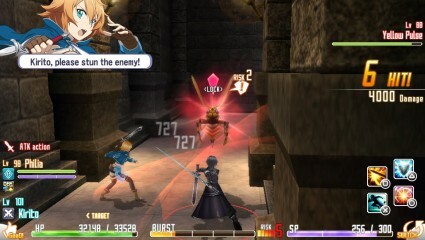 Hollow Fragment displays a lot of MMORPG-like characteristics, such as the ability to recruit allies into your party via ad-hoc multiplayer. The recruitable allies in Hollow Fragment are, by and large, female characters who display more than a passing affection for your playable character, Kirito. The simpering cast of females seems to have been placed in the world only to vie for Kirito’s affections, and are, frankly, embarrassing. Oversexed and desperate, the female characters all battle to be the apple of Kirito’s eye, despite him having an in-game wife, and Hollow Fragment delves more into the hareem qualities of anime than feels necessary. Explanations of anything, be it storyline or a new area that has been unlocked are overly long and complicated, with little to no time spent on the aspects that could do with explanation, such as upgrading existing abilities. To top it off, in-game objectives are unclear, and to get a recap on what you are supposed to do involves talking to characters who are accompanying you on your task. 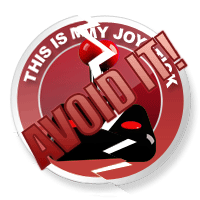 There are no objective markers set on your in-game map, and you have to find the objective by following a series of instructions that have been given to you. It is a process which could have benefited from being a lot simpler. 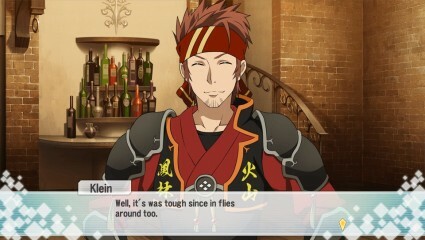 Sword Art Online: Hollow Fragment doesn’t have any redeeming qualities. With its slow pace and overwhelming scope, it doesn’t suit the Vita. With plenty of great JRPG experiences out there for the handheld, you would be wise to avoid this altogether and head straight for a better and more rounded experience elsewhere.